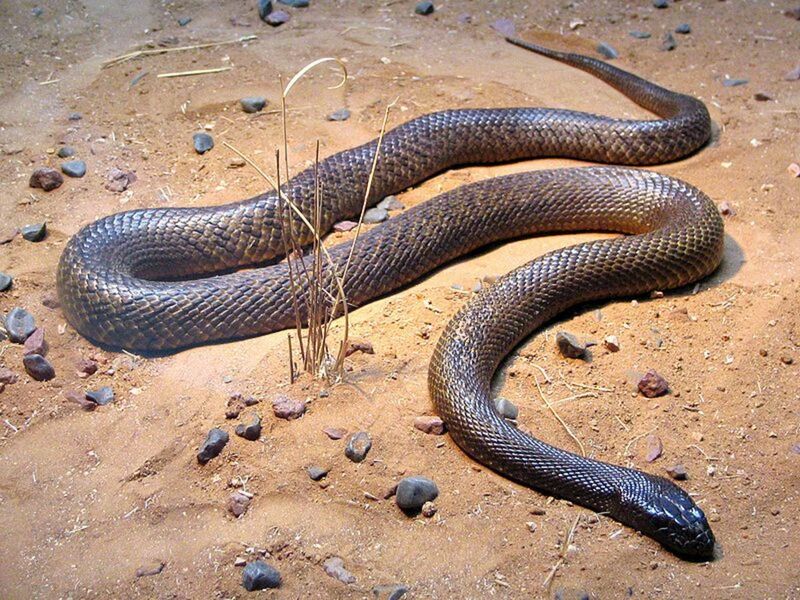 The most deadly snake in the world is the Inland Taipan (Fierce Snake) (Fierce Snake).This deadly snakes is mostly found in central parts of Australia. The snake passes out 110 mg of poison with a single bite. A single venomous strike from the fierce snake has enough poison to kill 100 human adults at a time. 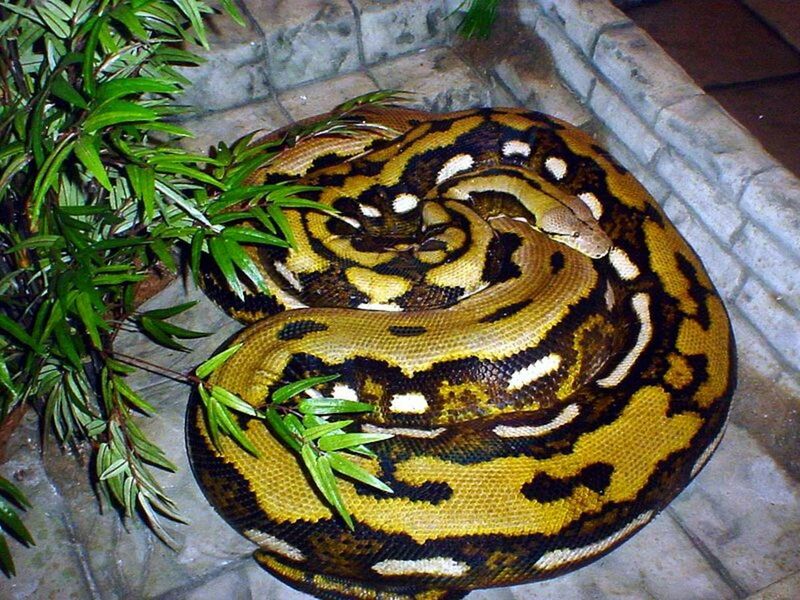 The fierce snake has a total length of 2.5 meters, though the common length is 1.8 meters . 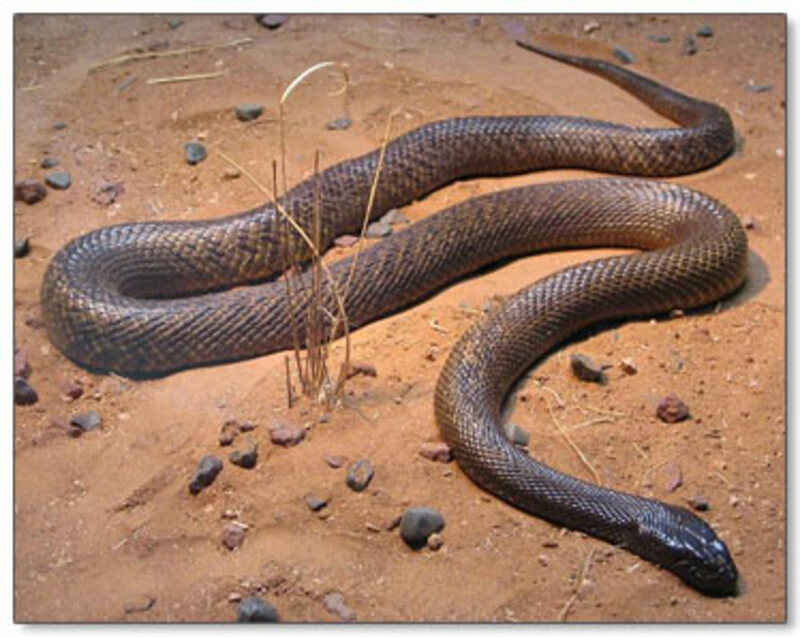 Inland Taipan (Fierce Snake)adapt to their environment by changing the colour of the skin during seasonal changes. Inland Taipan (Fierce Snake)tend to be lighter in summer and darker in winter.It is usually of a darker shade in winter to sustain and absorb more heat and likewise in summer it is lighter skinned to emit out the intense heat. The Common Krait (Bungarus caeruleus) is mostly found in the jungles of the Indian sub-continent and southeast asia. This snake is a highly venomous snake , it is 16 times more poisonous than Indian King Cobra. It is very active and agile at night. It usually hides in rodent holes, loose soil and beneath debris. It feeds on toads, frogs, snakes, lizards and mice. The kraits are also known to be cannibalistic behavior as sometimes they feed on other kraits. Kraits also only bite during the night, unless disturbed during the day, scientists are still researching why these animals only bite during nocturnal hours. Krait’s venom is extremely neurotoxic and quickly induces muscle paralysis. These neurotoxins generally affect the nerve endings near the synaptic gap of the brain. This species of snake is mostly found in Australia, primarily in the southern areas of Tasmania. The Tiger snake is part of the family Elapidae and can grow up to seven feet long. This is called tiger snake because of the pattern of stripes on their skin. The Tiger snake is not normally an aggressive snake, but will bite those who are aggressive to them. Tiger snakes bites contain highly potent venom which can cause defibrination coagulopathy, renal (kidney) damage or renal failure (kidney failure) neurotoxic paralysis (muscle weakness, respiratory failure). Its pattern consists of darker bands that contrast or are indistinct and are anywhere from pale to dark in color. Colors include yellow, olive, jet back, or orange brown. 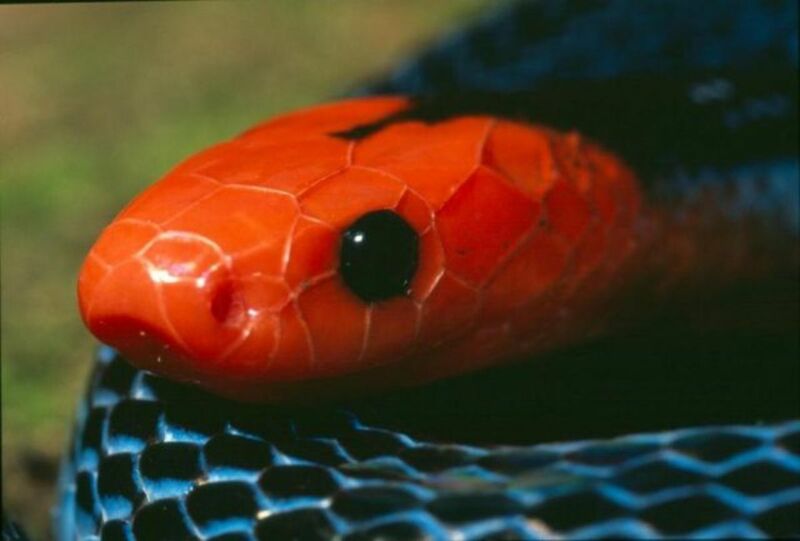 Usually, the underside of the snake is lighter in color and orange or yellow. If a human is bit by a Tiger snake, it can be fatal potentially. 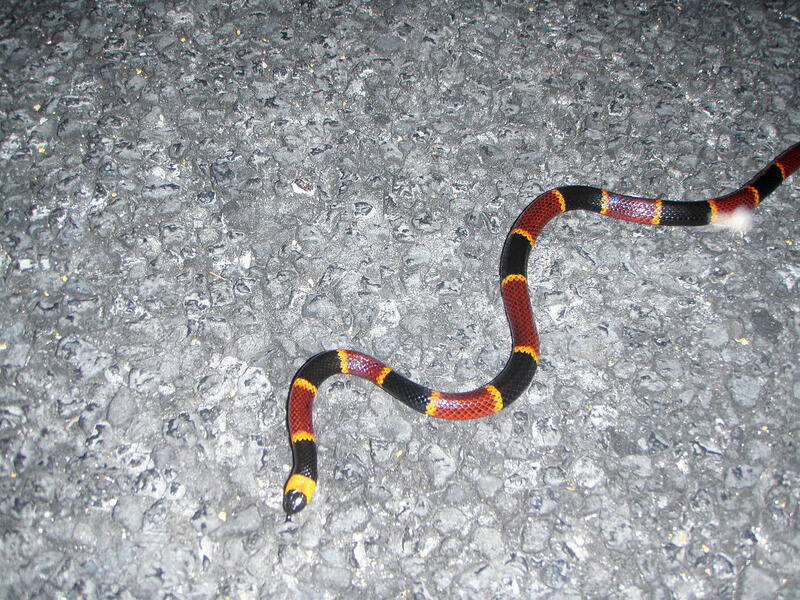 This species of snake can tolerate low temperatures although this is usually more active on nights that are warmer. 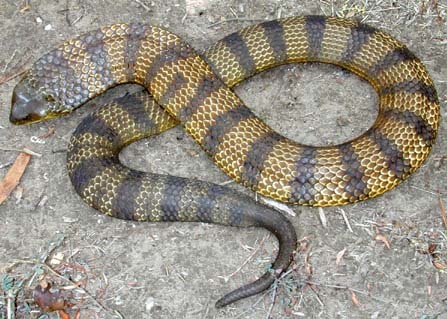 Tiger snakes are live bearing snakes and will give birth to as few as twelve and as many as thirty or forty young snakes. King Cobra is mostly found in forest areas of Indian Sub Continent and parts of south east Asia. The King Cobra can reach lengths of up to 5.6 m (18.5 feet long) .The King Cobra is one of the most powerful and the most deadly of snakes. The amount of venom that it injects in a single bite is enough to kill about twenty five people, or to drop an elephant. When they are threatened they can raise over a third of their bodies upward, flare out the hoods that make them famous and still slither forward to attack their opponent. They are the only snake in the entire world that will build a nest for their young, and, much like a bird, will guard that nest completely, killing or attacking anything that comes near it until their hatching’s leave the eggs. This category of snake is mostly found in Indian Sub Continent (Pakistan, India, Sri Lanka, Bangladesh, Nepal) Myanmar, Thailand, Cambodia, some parts of China & Indonesia.They are most commonly found in plains, coastal lowlands and hills of suitable habitat. They are prolific breeder. Litters of 20-40 are common .The reported maximum is 65 in a single litter. Adult russle’s viper can injects up to 250 mg venom is a single bite. For most humans a lethal dose is 40-70 mg. The Black Mamba is commonly found in African continent (South Africa, Congo, Swaziland, Kenya, and Ethiopia). The Black Mamba gets its because it has a black inky color mouth. The Back Mamba is also one of the fastest land snakes in the world. It has the capability to reach speeds in excess of 12 mph or 20km/hr. 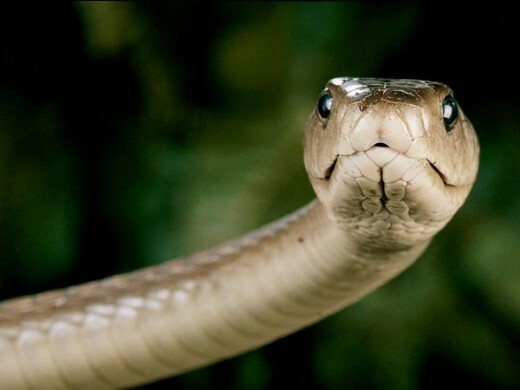 Adult black mambas have an average length of 2.5 meters or 8.2 feet and can grow to a maximum length of 4.5 meters or around 14 feet..
Each bite that the Black Mamba delivers has about 100-120 mg of venom on average and it can deliver up to 400 mg. 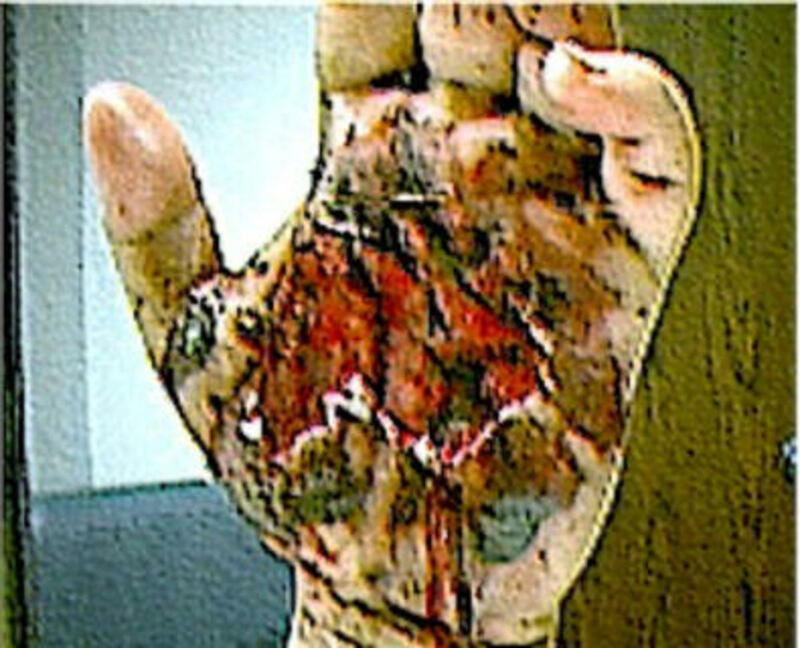 If the venom reaches a vein, .25 mg/kg is enough to kill a full-size human in half of the cases. If the victim does not receive medical attention, symptoms rapidly progress to severe abdominal pain, nausea and vomiting, shortness of breath), and paralysis. Eventually, the victim experiences convulsions, respiratory arrest, coma, and then death. As the name suggests this species of snake is a sea snake which is mostly found in the South Asia, Some parts of south east asia (Thailand & Vietnam) , Australia and Arabian Sea. 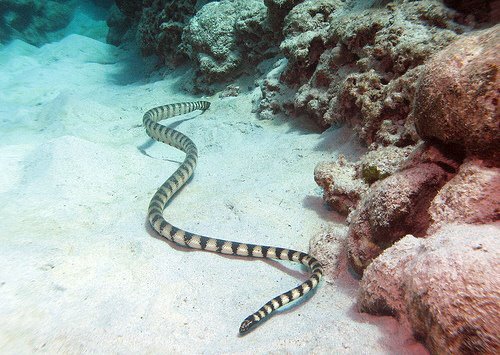 This is also known as Valakadyn sea snake, hook-nosed sea snake, Enhydrina velakadien & Enhydrina valakadyn. It is active both during the day and at night and capable to dive up to 100 meters and stay underwater for a maximum of five hours. 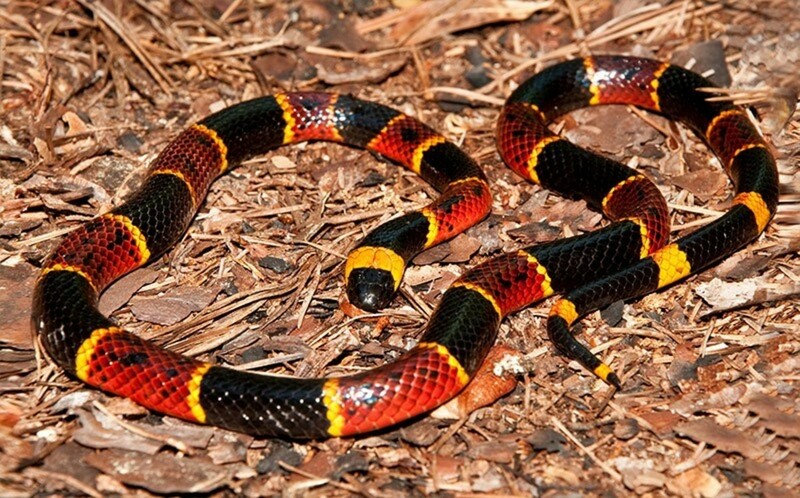 Male beaked snakes are about 1.2 meters long and females about 1.5 or more. Its nostrils are essentially at the top of the head, allowing the snake to come up for air while exposing as little flesh as possible to airborne predators. Death adders also known as Acanthophis laevis are mostly found in south western Australia and New Guinea. Death Adders normally shake their short tail to lure their prey, which includes lizards, birds and small mammals. They then strike with their mouth and inject venom into their prey from their fangs. They swallow their prey whole. The Death adder is among top ten deadly snakes which exist in the world and its venom can kill in a very short time. In a single bite they can inject up to 40-100 mg of venom containing haemotoxins or myotoxins. 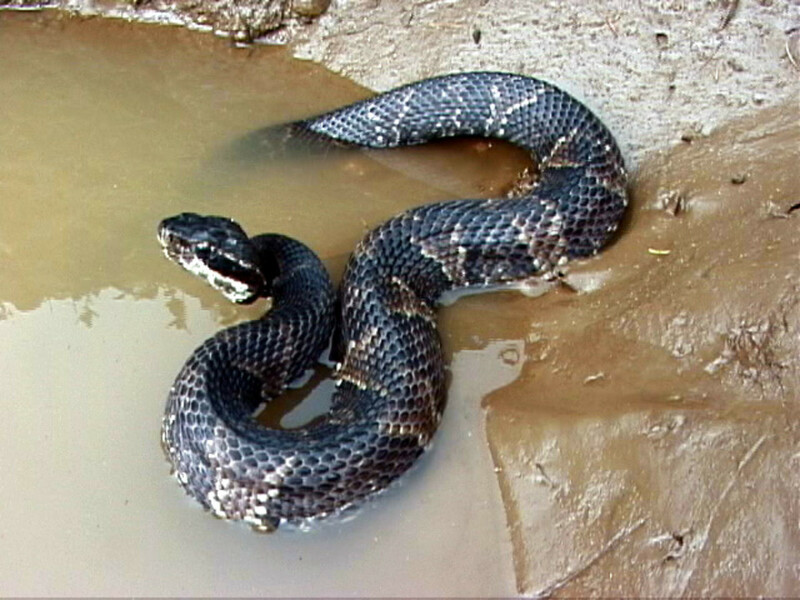 Death adders bite causes a minor paralysis which can cause complete respiratory shutdown in as little as six hours. A boomslang is highly poisonous tree dwelling snake found in sub-Saharan Africa. Boomslangs are greenish to brown or even black in color. Average length is 100-160 centimeters (approximately 3.5 to just over 5 feet in length) with some snakes recorded over 6 feet in length. Boomslag is considered to be very deadly because of its preference for aerial positioning in tree top. The Boomslang delivers a potent Hemotoxic venom to its victim through large, deeply grooved Folded Fangs positioned in the rear of its mouth and this snake bite can be fatal if left untreated. The bite strike of the Boomslang, with dominant Hemotoxic venom, affects the circulatory system destroying red blood cells causing organ degeneration and generalized tissue damage. Foie Gras Delicacy or Cruelty??? What Non-Venomous Snakes Are Dangerous to Humans? I think, Black mamba is the world most dangerous snake because of its strong venom and also because it is fastest among all snakes. In comparison to King cobra, it is more dangerous. Amazing never knew about Death Adder. thanks for sharing the information. i hate snakes they bite people and kill and they are very scary and they are very wild! Don't forget the 'habu' which lives in Taiwan and Okinawa. It is called the '100 pacer' for good reason - you drop after no more than 100 paces after a bite. It is a type of pit viper. Maybe add this as the tenth deadliest? Great article. I am like Indiana Jones. I hate snakes ! One of the few phobias I have. Trust me if I see any of these killers I am so outta there ! Thank you for this comprehensive survey. It looks like you guys and the Australians have your hands full. I enjoyed your work here. Fascinating! I saw that episode of Steve IRwin. Scary!